The Conyers-rockdale Library System is committed to providing an organized repository of knowledge, encouraging life-long learning and the love of books and reading, offering free and equal access to library programs, information services, and public facilities, and improving the quality of life for the citizens of Rockdale County. The Conyers-rockdale Library System believes that all public libraries serve a vital role in supporting and empowering communities to prosper and flourish in safe and healthy environment. We encourage that growth by providing quality services and collections that bring value to our culturally diverse community in an inviting and interactive space. We provide timely and accurate information assistance that will inform and educate the public, services and resources that are relevant to community needs, readily accessible, and easy to use, technology that appropriately expands and enhances service, a well-trained, highly capable, and cohesive staff that work together to provide quality service to all patrons, a commitment to intellectual freedom and the confidentiality of all users and solid partnerships with community agencies and organizations that foster cooperation, collaboration, and connectivity. The Nancy Guinn Memorial Library was founded by the Conyers Civic League on February 2, 1919, when members adopted a resolution for providing the county with a public library. This was in response to the local school board who had asked the Civic League to help them establish a library in the Conyers Public School. The school had been rebuilt immediately after a fire in 1915, and it needed a library in order to be accredited by the State of Georgia. 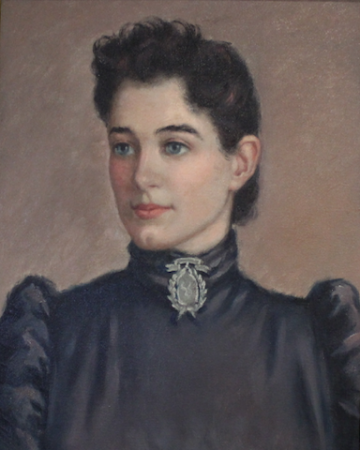 The library was to be shared by the students and the community and Mrs. Fannie Freeman was appointed as the first librarian. The Blade was a gift to the Nancy Guinn Memorial Library from the Conyers Civic League, the organization that founded the original library in 1919. 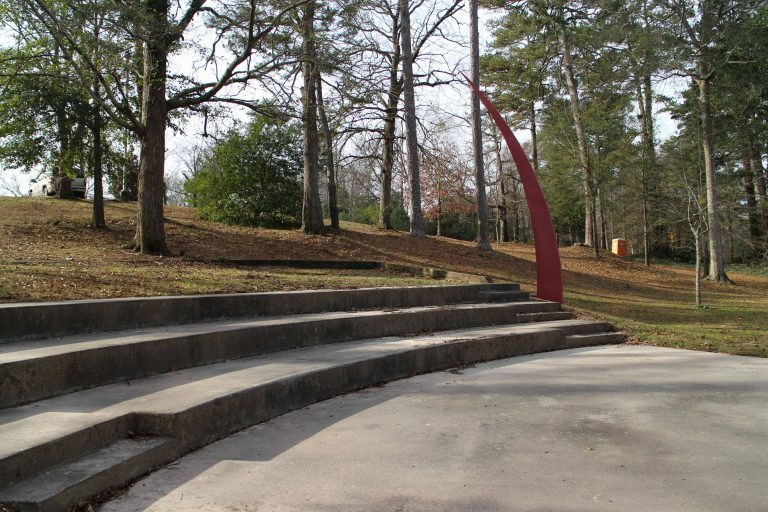 The Blade, an abstract sculpture of painted steel and fiberglass, 30 inches square at the base and curving upward to a single point at a height of 25 feet, was dedicated at the site of the library’s (then) new building on February 27, 1972, “In honor of all members of the Conyers Civic League, past, present and future.” It was moved in 1990 to the library’s current home on Green Street. The sculptor who was commissioned to design, fabricate and install the sculpture was (1971) a young, up-and-coming sculptor named James Clover. In the present day, the library is in good company as a patron of the sculptural arts, as Mr. Clover’s work can be found at many public facilities, as well as in many private and corporate collections. The Blade is included in the database of the Inventories of American Painting and Sculpture of the Smithsonian American Art Museum. Over the years, library patrons have been intrigued by the unique sculpture, and ask about how it came to be here. 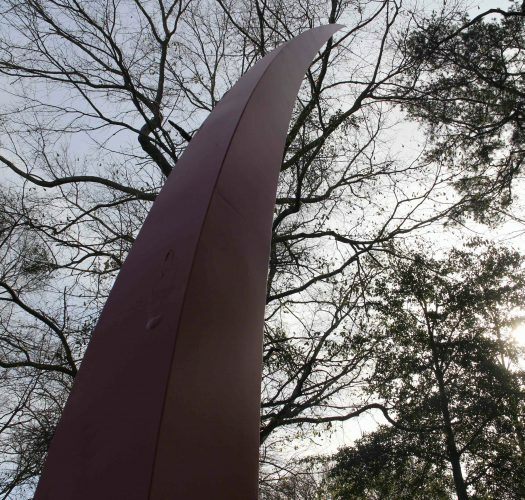 As intended, the Blade serves as a welcoming beacon to all, and represents the library as its official logo.